Changes in the rules of hiring foreign workers will make fewer job opportunities in Singapore for Filipinos. These changes came in response to public protests against endless hiring of foreign workers. Locals believe that foreign workers take away jobs from them and cause housing, transport and other social services costs to rise. Open job ads to locals and to run job ads for at least 14 days. Firms now face with higher costs of hiring Overseas Filipino Workers (OFWs). This limits the hiring of OFWs and only the better equipped OFWs will pass. Either way lessens the chances of OFWs to find jobs in Singapore. These changes take effect in phases. From July 2013, a new foreign worker quota system has been in effect to support the hiring of locals. From July 2014, firms will pay higher monthly levy for every foreign worker hired. The amount will vary from S$300 to S$1,050 per worker. The changes also restrict the entry of mid-skilled and professional workers through the work pass, called S Pass and E Pass, in that order. (Work Permit applies to skilled and semi-skilled foreign workers.) The monthly pay for S Pass increased to S$2,200 in July 2013. From January 2014, an E Pass holder will need at least S$3,300 a month. From 1 August 2014, job postings for EP holders must be open to locals. The job ad must run for at least 14 days in a central databank. Firms can bring in foreign workers only in case they fail to hire locals. This makes firms to seek locals first before hiring foreign workers. Before 1 Jan 2014 will receive a one-time renewal based on current EP rules. Between 1 Jan 2014 and 30 June 2014 will receive a one-time renewal of up to one year based on the current EP rules. These changes tighten the rules but they do not close the door for OFWs. The city-state will keep on hiring foreign workers to maintain its economic growth. Locals seem to welcome lower skilled foreign workers more than skilled workers. Domestic workers are still in demand even with improved wages and terms of work. 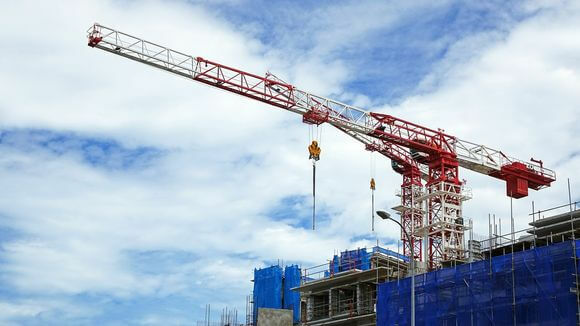 Filipino construction workers will soon fill the shortage of skilled workers in this sector. Professionals are hardest hit since locals feel that high-paying jobs go to foreign workers. This demands caution for your job search Singapore. Avoid illegal recruitment and apply for real jobs. Direct contact with firms saves time and effort. For instance, get the list of hospitals and check their job offers for nursing or allied jobs. Visit jobstreet.com.sg and monster.com.sg for online job ads and apply from there. Singapore will continue hiring foreign workers in the years to come. Rules cannot ignore the demand to put locals first in job hiring and will always find ways to address protests. This presents problems and limits job opportunities in Singapore for Filipinos.